Am sure most of you might have been in that kind of situation where you have little or no airtime on your line but you are so stranded that you can't buy a recharge card and you also have no internet access to perform an online topup. This can be really frustrating. But thanks to the recent development, Now most banks and network providers are really working together to make things easier for their customers by introducing the easy one click top up which lets recharge your line directly from the phone no you registered with your bank with you use of USSD code and the money will be automatically debited from your bank account. This method saves you the energy and time wasted when searching for where to purchase airtime or queuing at an ATM just to recharge your line. But unfortunately not all banks currently supports this for now. 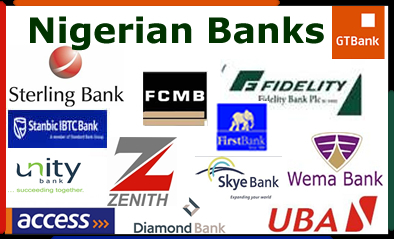 Below are the list of supported banks and their respective ussd code. ==> Access Bank: For access bank users, simply dial *901*amount#. Example: To recharge N500, dial *901*500# . You will be credited with N500 airtime while N500 will be automatically deducted from your access bank account. The minimum recharge is N50 while the maximum is N5,000. For Mtn users you must have at least N1 on your phone to use this service while other network can use it with zero naira. ==> EcoBank: For Ecobank users, simply dial *326*amount#. Example: To recharge N1,000, dial *326*1000# and you will be credited with N1,000 airtime while N1,000 will be deducted from your account. ==> Fidelity bank: Fidelity bank allows you to recharge for both yourself and others. To recharge your line dial *770*amount# and to recharge other lines dial *770*phone no*amount#. Example: To top up your line with N500, simply dial *770*500# and you will be credited with N500 airtime while N500 will be deducted from your account. The minimum recharge is N100 while the maximum is N5,000. ==> First City Monument Bank(FCMB): For all FCMB users, simply dial *389*214*1*amount#. Example: To recharge N1,500 Dial *389*214*1*1500#. You will be credited with N1500 while N1500 will be debited from your account. ==> First Bank: Just dial *894*amount#. Example: *894*1000#. Your line will be credited with N1000 airtime and N1000 will be debited from your bank account. Minimum recharge is N50 while the maximum is N3,000. ==> Guarantee Trust Bank (GTB): Just like fidelity bank, Gtbank let's you top-up both your line and also top up for others. To recharge your line from your gtbank account, simply dial *737*amount#. E.g. *737*1500#. And to top up another phone no, dial *737*amount*person’s no#. Note that the minimum recharge allowed is #100 while the maximum allowed in a day is #5000. Aside letting you recharge your line, gtbank also allows you transfer money from your bank to another bank account directly from your mobile phone by just dialling the respective ussd code. You can read more on that here. ==> Heritage Bank: For those using heritage bank, dial *322*030*Amount#. Example: To Recharge N1,000 simply dial *322*030*1000# and your line will be credited with N1000. ==> KeyStone Bank: For keystone bank users, dial *322*082*Amount#. Example: To top up your line with N500 dial *322*082*500#. You will be credited with N500 airtime while N500 will be deducted from your account. ==> Skye Bank: Just dial *389*076*1*amount# on your phone. Example: To recharge N1,000 dial *389*076*1*1000#, you will be credited with N1000 airtime and N1,000 will be deducted from your bank account. ==> Stanbic IBTC Bank: For Stanbic bank users, simply dial *909*amount#. ==> Sterling Bank: For sterling bank users, Just dial *822*Amount#. ==> United Bank Of Africa:For those of you using UBA simply dial *389*033*1*amount#. Example: To recharge N500 on your line dial *389*033*1*500# your line will be credited with N500 airtime and N500 will be deducted from your bank account. ==> Unity Bank: For those using Unity Bank dial *322*215*amount# to recharge. Example: To recharge N1,000 dial *322*215*1000# and you will be credited with N1,000 airtime and N1,000 will be deducted from your account. ==> Wema Bank: For Wema bank customers, dial *322*035*Amount#. ==> Zenith Bank: Zenith bank users can top up their line by dialling *966*amount# or *302*amount# for Mtn users. Note: *You can only perform any of this transaction on the no you registered with your bank. *It is completely free and there is no hidden charges. *If your bank is not listed above, then maybe your bank does not support this feature yet. *If you think I omitted any one, just drop it in the comment box below. Nice Post! But I read from a post on Joe links tech at http://joelinkstech.blogspot.com.ng/2016/11/ussd-codes-for-tranferring-money-between-bank-accounts.html that one can transfer money only with the sim he used for the bank account registration. Is it true?